The impact of Graceland on its release has been rarely equalled in rock’n’roll – arguably only Elvis’ 68 Comeback Special packed the same punch. Has there ever been a better opening brace than The Boy in the Bubble and Graceland? Is there not something wholly irresistible about You Can Call Me Al? Has Simon ever matched the poignancy of Homeless? Or the sheer exuberance of Diamonds on the Soles of Her Shoes? Graceland gave Simon a third bite of the cherry, following the Simon & Garfunkel years and a glittering 70s solo career. It may well stand as the pinnacle of his remarkable half-century career. Simon recently admitted that he felt that the album’s title-track was the best song he’d ever written. With the furore surrounding the recording of Graceland, the sheer quality of this groundbreaking record is too often overlooked. And just to qualify: Simon may have been naive and arrogant, but he did not break the cultural boycott when he went to record in apartheid South Africa. What he did was embrace the music of that troubled nation and put it on a world stage. Marrying the ebullience of township jive to his own innate pop sensibilities, Simon fashioned a record which was truly, blindingly original, and – listening to it a quarter of a century on – modern and timeless. 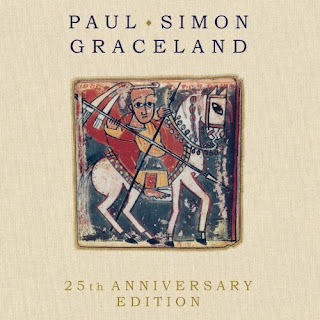 In truth, the audio disc of this anniversary edition disappoints, primarily because Paul Simon is a notoriously painstaking writer; what inspires him ends up on the finished album. 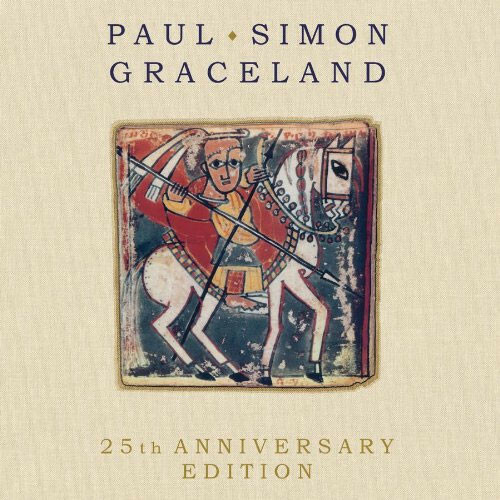 So extras here extend to five demos of Graceland titles – three of which were available on the album’s 2004 reissue (You Can Call Me Al and Crazy Love are new, but instrumental) as is Simon narrating The Story of Graceland. Also included is the engrossing documentary Under African Skies, which follows him back to a liberated South Africa. Forget the boycotts and controversy, and marvel once again at the magic that Simon conjured up on Graceland.